Today I learned about a terrific company headquartered here in Tucson - A Thru Z Consulting. They build zoos! Their market is nation wide and they have also done work for our own zoo, the Reid Park Zoo. If you've been through the elephant habitat, you've seen A Thru Z's work. 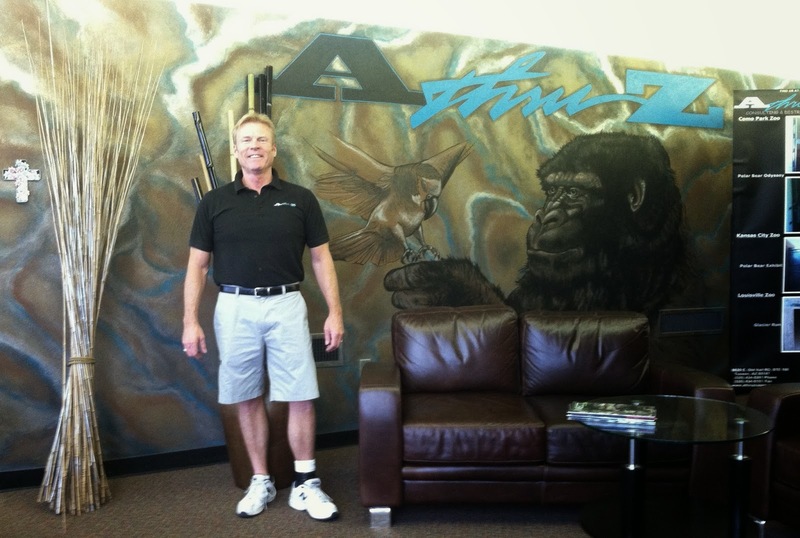 Here is Sean Stoddard, the company President, in the lobby with their fun wildlife mural.